iRest Yoga Nidra Meditation with Christie :: FUSION Yoga Studio Sacramento, Inc. Intro to iRest® Yoga Nidra Meditation is typically offered at Fusion Yoga Studio the FIRST SATURDAY of the each month. Visit our “class schedule” page to confirm the next session. This informative class is now held once a month (usually the first Saturday of each month ~ check schedule for actual dates). iRest® Yoga Nidra Meditation Inner Harmony Sacramento‘s mission is to help people by inviting them to rediscover their wholeness and interconnectedness with life. Integrative Restoration (iRest)® Yoga Nidra is a powerful healing path. iRest® is a proven therapeutic relaxation technique that increases your ability to cope with whatever life throws you. It is a guided meditation that gives you tools to help you meet any circumstance in life with peace and balance. Holding onto negative emotions and thoughts is the main cause of stress and suffering. iRest® supports you in finding the fundamental causes of your stress and teaching you tools to free this stress (physical, emotional, mental) so you can live a more balanced, happy healthy life! Christie Vallance is a Registered Yoga Teacher (RYT) and iRest® Yoga Nidra Meditation Teacher. She has been trained by iRest founder, Dr. Richard Miller, is a graduate of the level II iRest program, and is currently in the level III certification program. 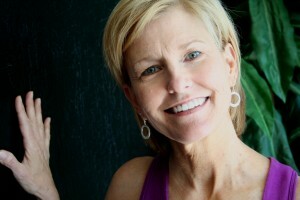 Christie currently teaches a six week series of iRest classes at Fusion Yoga Studio in Sacramento, California. These classes help students learn to welcome the continuous fluctuations in life. Christie integrates Yoga Nidra practices and philosophy into her yoga classes and workshops, using iRest Yoga Nidra with individuals in both private and group sessions. Christie also volunteers at the Sacramento VA where she works with veterans, active duty military and their spouses. Christie’s work has helped individuals successfully address a wide-range of issues, including anxiety, post-traumatic stress disorder (PTSD), inter-personal conflict, grief, anger, chronic pain, and depression. The meditative steps to this practice are designed to release stress and tension, but it also leads students down a natural path to self discovery! To find out more, visit http://christievallance.zohosites.com/.